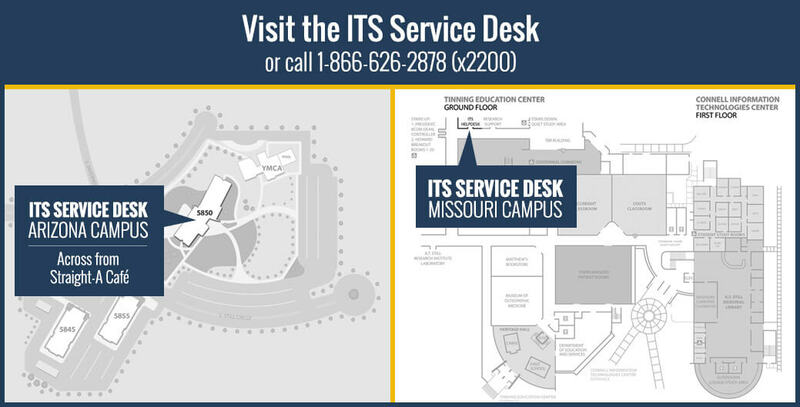 Please Note, If you do not see your list of enrolled courses, contact service.atsu.edu with the courses you need restored. If you already have local copies of the course materials, then you can skip all of these steps since you do not need to download them again. If you would like to save some content files from a previous Blackboard course, select and download each file individually and save it to your computer. ITS recommends saving all files to ATSU Google Drive cloud storage, which will allow you access the files from any computer or mobile device. This mitigates the risk of losing content if your local hard-drive should ever fail. For items you typed directly into Blackboard (like private messages or assignment text submissions) copy-and-paste the text of the item from Blackboard to a new document and save locally. ITS recommends saving all your academic files to ATSU Google Drive cloud storage, which will allow you access the files from any computer or mobile device. This mitigates the risk of losing important content if your local hard-drive should ever fail. Exporting your class should export files your course content including tests and question pools. 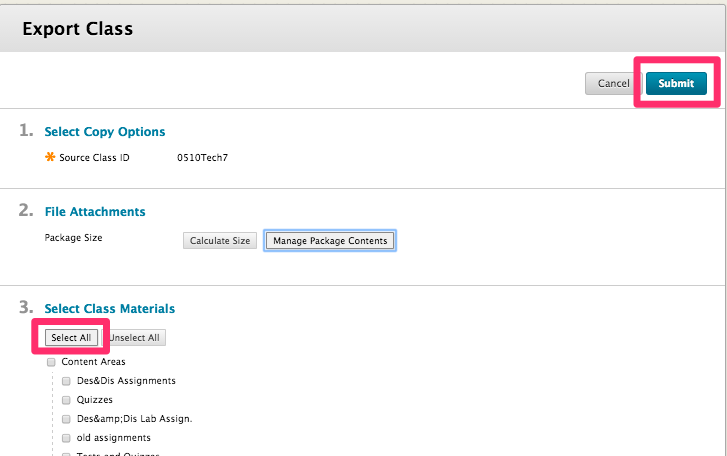 You can then upload the zipped content package into Canvas if desired. To expedite migration from Blackboard to Canvas, organize all your course content in Blackboard first. This is your opportunity to clean up your course and reduce the amount of data that you will transfer to Canvas. Review all your content to decide what is still relevant to your course. Delete excess content including duplicate files and outdated materials. Open the Blackboard class you want to export. 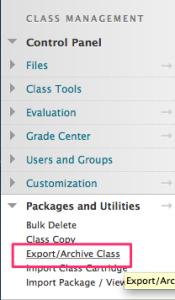 In the left-side Class Management menu, click on Packages and Utilities. Choose Export/Archive Class. 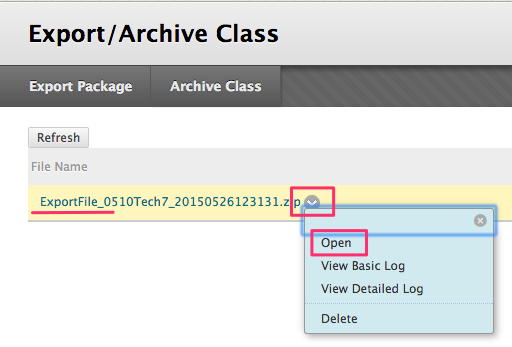 In the Export/Archive Class window, click on Export Package. Be careful to click on the Export Package button and not Archive Class. In the Export Class window, under section 3, Select Class Materials, choose Select All to export all content areas, or you can choose individual types of content to export. Click the Submit button. You will receive a message at the top of your screen letting you know the export process has begun. This length of process usually takes a few minutes, but will be longer for large courses. Hover on the filename with your cursor and click the gray down arrow next to the exported file name (ending with .zip). Click Open. This will download the file to your Downloads folder. Move the downloaded file from Downloads to a location of your choosing. Double click the downloaded file (Mac and PC) to reveal the downloaded course contents. There will be many types of files and folders, some unfamiliar. Click on all the folders to open them (including nested folders). Save the content you wish to reuse. Now that everything is downloaded, do you need to import this content into a Canvas course?